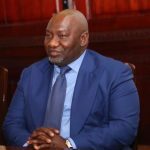 Trading house Aiteo, which had prospered under Goodluck Jonathan’s tenure, has recently had to start making hefty repayments to creditors that had helped the firm buy the giant OML 29. 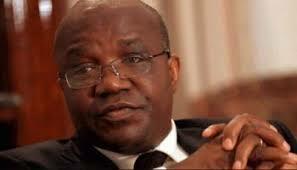 Aiteo founder and CEO, Nigerian businessman Benedict Peters, is using this as an opportunity to reorganise the group. 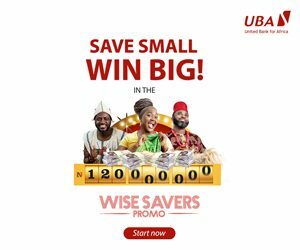 To buy the 45% stake of OML 29 from Shell, ENI and Total for a total $2.58 billion, Peters borrowed nearly $2 billion from various Nigerian banks. Peters forked out the rest of the sum from his own fortune, largely built on extremely lucrative swap contracts won when Diezani Alison-Madueke was minister of petroleum resources. When the firm had trouble meeting its repayments in 2016, according to our sources it renegotiated an 18-month grace period with the banks that ended in June this year. Since that date, Aiteo has had to pay out heavy sums and is understood to be trying to negotiate another arrangement. The oil firm had bought OML 29 when crude oil prices regularly peaked over $100 and the sale price matched its market value. With the sharp downturn in oil prices halfway through 2014, the loan became unworkable. Nearly all of the trader’s revenue from the licence goes straight into paying back its creditors. With production dampened by a string of attacks on its pipelines in Niger Delta and the continued lull in oil prices, Aiteo has struggled to meet its reimbursement deadlines. Peters, who has lived in Ghana since 2016, can no longer count on his financial director, Bruce Burrows, hired in 2017 to help work out a new deal with the banks. Burrows, who previously worked for Ernst & Young and Seven Energy and now lives in London, was sacked by Peters in October, though he had never been given much room for manoeuvre. Peters delegates very little, except to his older brother Francis Peters who handles the firm’s relations with banks and the government. 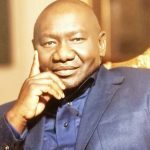 Since the beginning of the year, the group’s finances have been in the hands of Nigerian financier Razak Shittu, former head of oil & gas for United Bank for Africa (UBA), who will be looking to secure a repayment schedule. 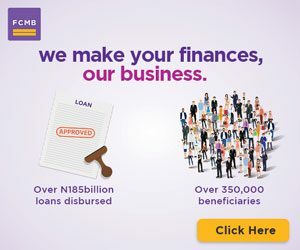 Adding to the pressure placed by the banks, Shell – the former owner of OML 29 – had negotiated extremely strict terms with Aiteo for the 2014 sale that are still having repercussions on the trader today. One of the first conditions of the sale was that Aiteo undertook to sell nearly its entire output on the block, which currently produces between 80 and 90,000 bpd, to Shell’s own trading branch. Indeed, this unit had directly lent several tens of millions of dollars to Aiteo to purchase OML 29. Aiteo accepted to sell such a large volume to Shell that with current output levels it will still have to work with the Anglo-Dutch major’s division for nearly 10 more years. Making the noose all the more tighter, in the formula used for the sale price of OML 29 crude oil, Peters agreed to guarantee Shell a very comfortable margin estimated at more than $1 per barrel. The firm also accepted to use Shell’s Bonny oil terminal, whose transfer rates sit at just over $2 a barrel. Shortly following the OML 29 sale, one of Shell’s main negotiators for the operation, British expert Humphrey Doody, became a board member of Aiteo. However, according to sources in Lagos, Doody was recently made to step down from this role.